wazobia fm and Nigerian info to say thank you for being there for them Abuja? 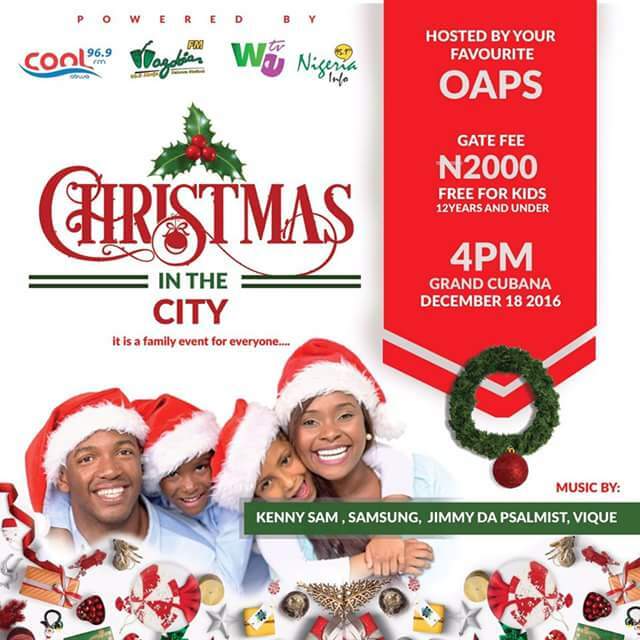 Well they have put up a special event tagged Christmas in the city and you are invited! Venue: the Grand Cubana Hotel, Jabi Abuja! Don't miss it and bring your family as children below 12 years enter for free!